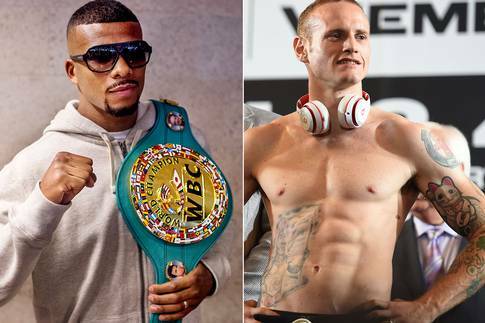 Theirs is a fight that will precede a lambasted main event on September 12th at the MGM Grand in Las Vegas, Nevada, but WBC World super-middleweight champion Badou Jack (19-1-1, 12 KO’s) and his challenger George Groves (21-2, 16 KO’s) should combine to produce a far more competitive contest than Mayweather vs. Berto. This will be Jack’s inaugural defence after winning the belt in April against a man on his third attempt at world honours at 168 lbs. having twice lost out to his now-retired fellow Brit Carl Froch. Speaking with World Boxing News, Jack said this will be a completely different experience for Groves on the big stage in the States, despite having fought in front of over eighty thousand people at Wembley in his rematch with Froch. As with roads, fast-food chains and theme parks, Americans seem to inflate things to another level than their smaller transatlantic counterparts are capable of, and so it is with a big fight night under the famous Las Vegas lights. It isn’t called the fight capital of the world for nothing. The stakes feel raised and the media all the more invasive when snapping in a place synonymous with the biggest names in the sport over the last few years. Groves may not be as overawed as Jack assumes, though, having made several trips to the Californian Big Bear fight camp under his belt and one appearance on the strip already, in his tenth fight at the Mandalay Bay. 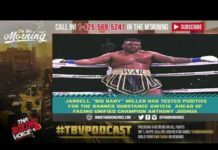 This is a new level entirely, however, and fighting on the undercard of Mayweather’s last fight against the main man’s stablemate invites a whole new level of scrutiny and attention. Who knows what kind of effect this may or may not have on Groves though it is difficult to imagine anything surpassing the frenzy that accompanied his saga with Froch. Jack is sensibly banking more on his own ability than any wayward influence to win him this fight and is planning to get the knockout if the chance presents itself. Both men have been stopped inside the distance before now leaving room for a knockout on either side. 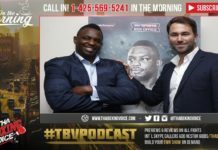 Jack showed his capacity to fight a fast-paced twelve rounds in winning his title against Anthony Dirrell and Groves still has question marks over his own ability to do so, having struggled late on with Froch, James DeGale and Christopher Rebrasse. To even things out he does have a serious advantage in power and may just decide to swing for the fences early, as Derek Edwards did when he stopped Jack in the opening round in February last year. 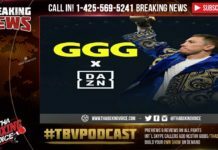 Next articleMayweather-Golovkin for 50th fight?